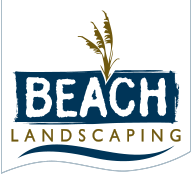 In the Myrtle Beach area, most lawn maintenance companies excel at what we call “mow, blow and go.” At Beach Landscaping we treat your landscaping as if it were our own. We recognize potential problems that you may have with your lawn or shrubs, we inform you of any problems, offer solutions and treat the problems appropriately and in a timely manner. Our residential landscaping services are a cut above the rest…pun intended!